Pak Mail of Toledo is an authorized DHL Shipping Center for Toledo and the surrounding area. 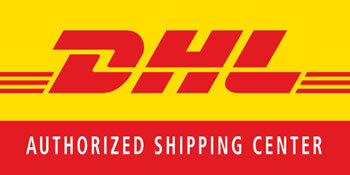 As an authorized shipper for DHL, we can help you with all of your international shipping needs. We can offer service to over 220 countries, reliable tracking and a daily pick-up. Pak Mail of Toledo can help you send out that important document or package to almost anywhere in the world. We are also an authorized shipping center for UPS, FedEx and US Postal Service. This allows us to compare rates and transit times to meet your international needs. Pak Mail of Toledo is a full service packing and shipping store as well as a custom crating and freight shipping company. We are located in Perrysburg and proudly serve Perrysburg, Toledo, Rossford, Waterville, Maumee, Sylvania, Holland, Bowling Green, and all surrounding cities. Request a Free Online Estimate or call us at 419-872-5671.